Today, the final post in a collaboration between three girlfriends who are also bloggers: April from A. Liz Adventures, Allie from Key Ingredients, and Nina from Peace, Love, and Good Food. This is a three-part series all centered around holiday cuisine! Today we will share a cocktail recipe with you. So, from us to you, cheers, happy holidays, and bottoms up! I'm going to share a tried-and-true cocktail recipe favorite of mine today and then give you some ideas about how you can put your own holiday twist on it. Slice your lime in half and use a citrus squeezer to add the juice to each copper mug. Toss the hull of the lime in each mug. Add in blueberries to each mug and use your muddler (I have this exact one) to muddle, muddle, muddle all of those great flavors together. Top each mug off with 2oz. blueberry vodka, half of the bottle of ginger beer (which is non-alcoholic), and enough ice to fill the mug. The Christmas season is officially upon us and that means holiday parties are in full swing. 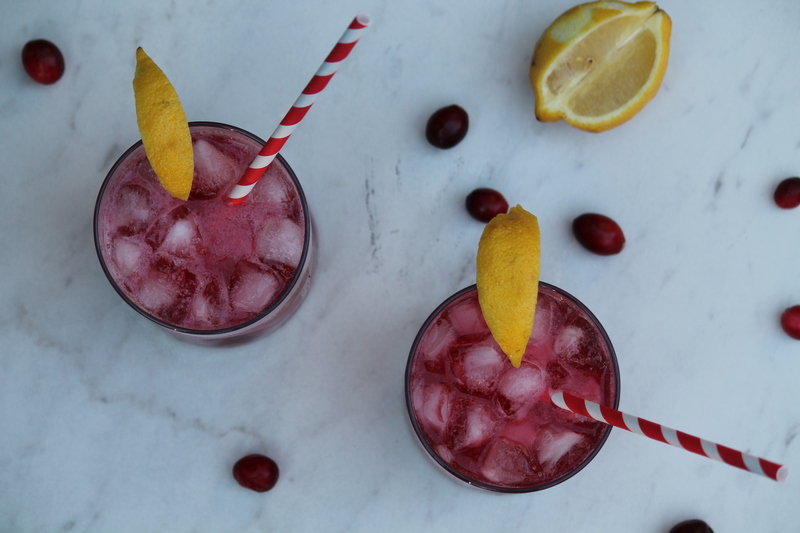 This Cranberry Gin Fizz is perfect for the season. 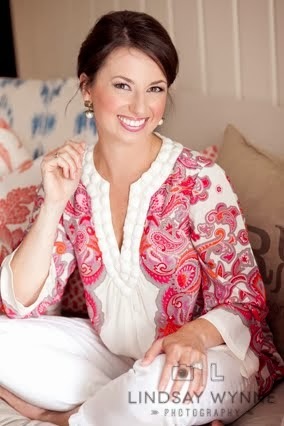 It's festive for a dinner party and easy enough for a cozy night in watching Netflix or wrapping Christmas gifts. The cranberry puree can be made ahead of time so that it's ready and waiting when the time allows. 1. Stir together the cranberries, water and honey in a saucepan over medium heat. Bring to a simmer and cook, stirring often until the cranberries burst and the water begins to turn pink. (About 5 minutes) Allow to cool then store in the refrigerator in a pitcher or bowl. 2. 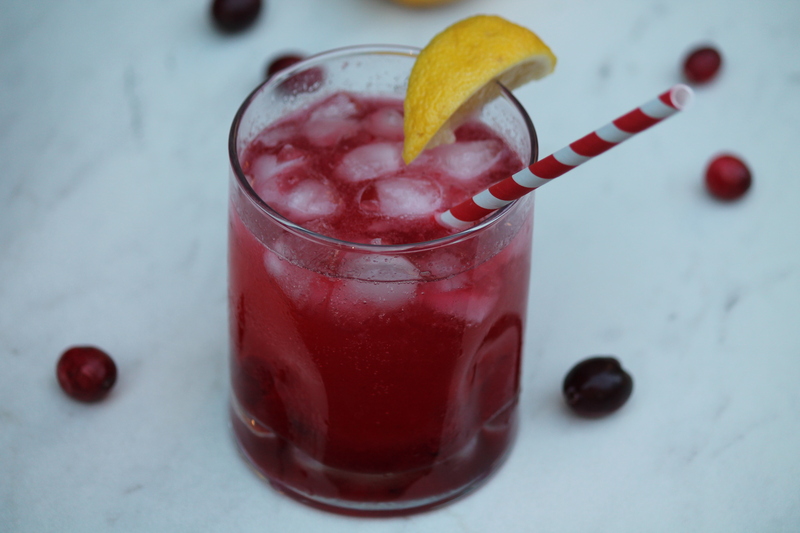 To make one cocktail: In a cocktail shaker combine Gin, cranberry puree, and lemon juice. Shake well. Pour over fresh ice cubes in a glass. Top with desired amount of soda water and garnish with lemon and additional cranberries (Optional). 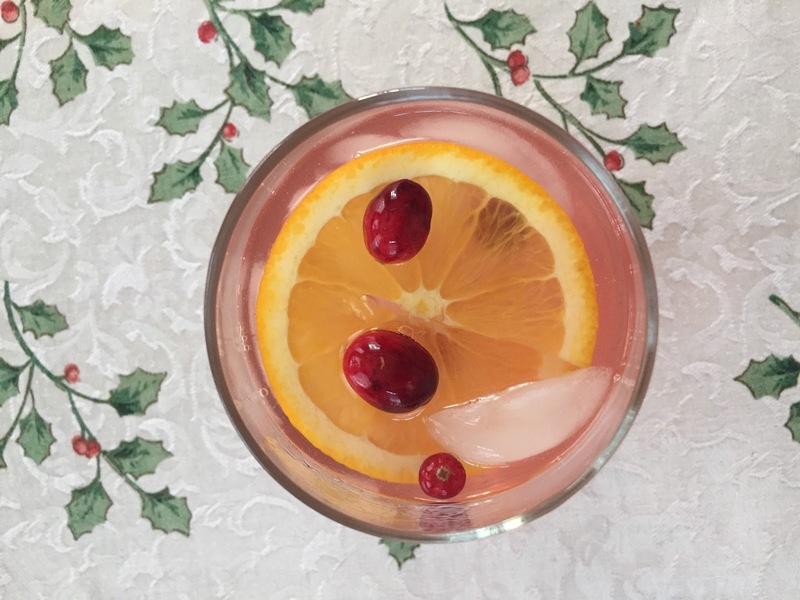 Happy hour is the best hour and when the Christmas season rolls around, everyday deserves a festive drink! You are going to want to have these sweet little berries on hand for your holiday cocktails. They are sweet, slightly bitter and have a crispy coating of sugar and the perfect pop when you bite in! They are the perfect finishing touch to a Holiday Mule- my personal favorite this time of year! Combine granulated sugar and water in a small saucepan over low heat, stirring mixture until sugar dissolves. Bring to a simmer; remove from heat. (do not bring to a boil or the cranberries may pop when added) Stir in cranberries and pour mixture into a bowl. Cover and refrigerate 8 hours or overnight. Drain cranberries in a colander over a bowl, reserving steeping liquid if desired. Place superfine sugar in a shallow dish. Add cranberries, rolling to coat with sugar. Spread sugared cranberries in a single layer on a baking sheet and allow to dry for 1 hour. Squeeze orange into copper mug or stemless wine glasses. Fill with ice and pour in vodka, ginger beer and cranberry juice. Stir and garnish with sparkling cranberries and rosemary sprigs. Enjoy! 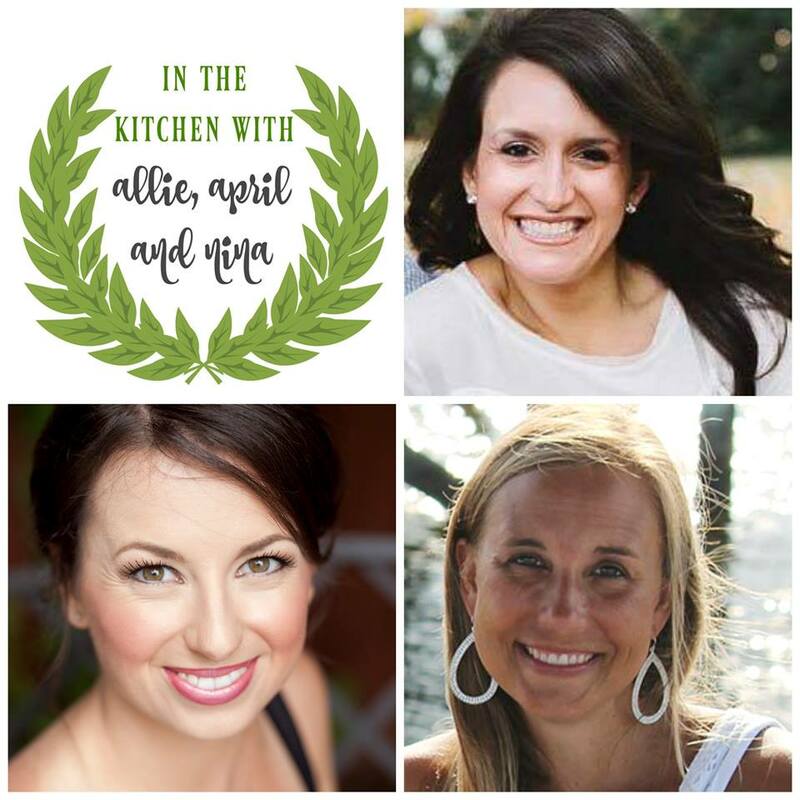 Thank you so much for joining us for this three-day blog series!